President Trump rules out making concessions to Turkey to gain the freedom of a detained American pastor. 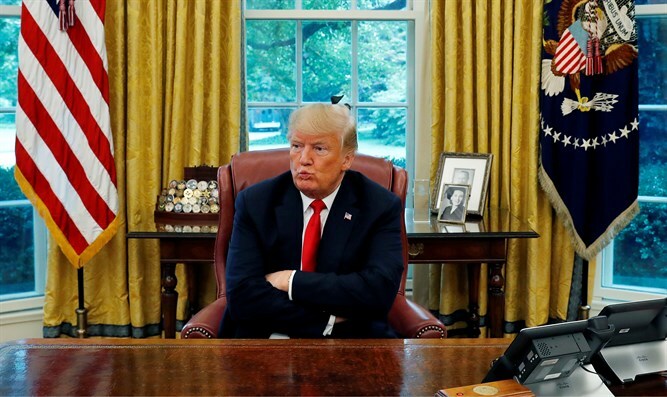 U.S. President Donald Trump said on Monday that he would not make any concessions to Turkey to gain the freedom of a detained American pastor, adding he was not concerned that retaliatory tariffs he imposed will have a ripple effect and hurt the European economy. Speaking to Reuters in an Oval Office interview, Trump said he thought he had a deal with Turkish President Recep Tayyip Erdogan when he helped persuade Israel to free a detained Turkish citizen. He had thought Erdogan would then release pastor Andrew Brunson who has been held by Ankara since 2016 and faces 35 years in prison on espionage and terror-related charges. Trump imposed sanctions on several Turkish officials and a 20 percent duty on aluminum and a 50 percent duty on steel in response to the continued imprisonment of Brunson. “I think it’s very sad what Turkey is doing. I think they’re making a terrible mistake. There will be no concessions,” Trump told Reuters on Monday. “I’m not concerned at all. I’m not concerned. This is the proper thing to do,” he said, when asked about the potential damage to other economies from the tariffs he imposed. “I got that person out for him. I expect him to let this very innocent and wonderful man and great father and great Christian out of Turkey,” Trump told Reuters. “I like Turkey. I like the people of Turkey very much. Until now I had a very good relationship as you know with the president. I got along with him great. I had a very good relationship. But it can’t be a one-way street. It’s no longer a one-way street for the United States,” Trump stressed. Trump had suggested earlier this month he would be willing to meet Iranian President Hassan Rouhani if the Iranians wanted to discuss the dispute over Iran’s nuclear program. The Iranians, including Supreme Leader Ali Khamanei, have shrugged off the offer. Asked to respond to Iran’s refusal to meet, Trump said it not matter to him whether they met or not.